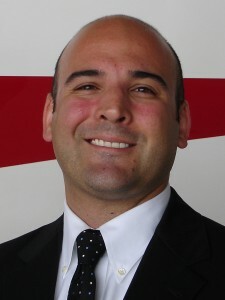 Michael Grana recently joined Banyan Air Service as aircraft sales associate. In his new role, he will be responsible for aircraft research and aircraft brokerage listings. “We’re excited about Michael’s experience and enthusiasm and are thrilled to have him join our team,” says Michael O’Keeffe, senior vice president of aircraft sales. Michael has an extensive background in the aviation industry. He has five years of aircraft sales experience, has held several positions as a corporate pilot and has assisted in corporate aircraft management. He is a commercial fixed wing and helicopter pilot with flight instructor ratings in single and multi-engine aircraft. He also holds a type rating the Citation 500 series aircraft. Besides his professional pilot ratings, he has a Bachelor of Science degree in Aeronautics from St. Louis University, with a concentration in Aviation Management. “I joined the Banyan team because of its reputation as a company that values not only its relationships with its customers, but also the growth and development of its employees,” says Grana. Banyan Aircraft Sales specializes in aircraft selection, valuation, negotiation, inspection and management of turbine aircraft. In addition, Banyan is an authorized sales center for the Quest KODIAK. Banyan Air Service based at Fort Lauderdale Executive Airport offers 24-hour FBO services, aircraft sales, heavy turbine aircraft maintenance, avionics, parts solutions, aviation store, on-line store at BanyanPilotShop.com and Jet Runway Café. The company was established in 1979 and employs over 170 teammates. For more information, please visit www.banyanair.com. Sign up for the Banyan monthly eNewsletter or Like us on Facebook and stay up to date on all the latest products, services and news.